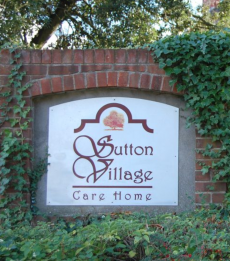 Sutton Village Care Home are pleased to offer a “meals on wheels” hot food delivery service for local residents living in Sutton Village, Ings Estate, Bransholme, Kingswood, Holderness Road, Bilton Grange, Longhill Estate and the surrounding areas. Our food is freshly prepared each day by our professional cooks, and is delivered hot to your door by our friendly drivers. You can order for yourself or for a loved one, and you will receive a freshly prepared hot meal along with a delicious hot pudding for lunch. You will also receive a sandwich and piece of fresh, home-baked cake for tea. In addition to simply delivering our home cooked food, our drivers also stop and say hello, and make sure everything is OK with your relative or loved one, giving you the peace of mind that somebody who cares has called in to see them every day. Please get in touch now for further information. © 2016 Sutton Village Care Home. Site by Baxter Media.